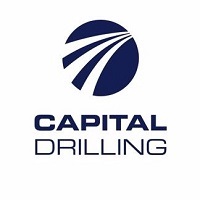 Capital Drilling Ltd (LON:CAPD) Chairman Jamie Boyton caught up with DirectorsTalk for an exclusive interview to discuss their Q4 2018 trading update. 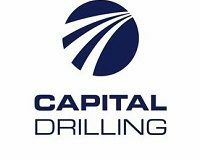 Q1: Capital Drilling Ltd have announced their Q4 2018 trading update showing strong revenue growth compared to Q4 2017, can you talk us through the financial highlights? A1: The financial highlights are really just focussed on two main areas and this is clearly a revenue update. Number one is just the strength of the revenue in Q3 of £31 million and in Q4 which is generally seasonally weaker than Q3, but we had very strong Q4 revenue of £30.5 million so only marginally lower then Q3 which is typically one of the stronger periods. This collectively meant that we had second half revenue of £65.1 million which is actually a 12.9% increase on the first half. So, it was a really strong result, primarily driven by stronger utilisation as we were awarded contracts in early second half. The other key financial highlight, we have released our year-end cash balance and as we redeployed rigs from East Africa to West Africa, we had a quite substantial working capital outflow in the first half and we were really pleased to see that working capital start to flow back into the business in the second half. We saw that we ended up getting end of period net cash increased to £10.9 million from the 30th June amount of £3.4 million so really pleasing cash inflows in the second half of the year, in particularly Q4. Q2: Can you give us a bit more detail around the operational highlights? A2: I’d have to say that the biggest highlight was that we really worked hard to redeploy rigs into the region and we started the year with about 15 rigs in West Africa and finished the year with about 31 rigs. That resulted in quite a few contract wins with Sama in the Ivory Coast with Hummingbird and Resolute in Mali for example. So, we further built infrastructure in Mali and the Ivory Coast, so we really have put the framework in place for the West African business. We saw a good increase in the rig utilisation, so the second half rig utilisation was 56% which is up on the first half of 46% contractually, the contracts that I’ve already mentioned. We also received a 5-year contract at the Sukari Gold Mine in Egypt which has been one of our longest standing customers and a 1-year contract extension at the Geita Gold Mine in Tanzania. So, some pretty substantial contract awards. Finally, I have to say the most pleasing aspect was we actually had an incident-free year, we had loss-time injury of 0 which is an absolutely outstanding result as a safety metric. Absolutely industry-leading and it is testimony to the operating team to achieve such a result, it’s quite unparallel so really pleasing. Q3: Now, I think you’ve mentioned this already, but you started this year with solid tendering activity in West Africa, can you expand on that a little and can we expect more of that throughout 2019? A3: I think so, the tendering market itself I don’t think has changed materially, however, over the course of 2018 there was a little bit of softness that came in at the broader market in Q4, just with the geopolitical environment. However, West Africa has always traditionally been a hotbed of activity both in exploration and mining so as a result of this, we’ve had many clients over the years asking us to increase our presence there and simply as a result of us deploying assets and building infrastructure. We’ve had very pleasing conclusion on many tender lists so we’re seeing the same in 2019, the tender list continues to expand as we continue to expand our rigs in the region and therefore the service offering that we can provide. So, we’re very hopeful that we’re get some contract wins over the first half and continue to grow that business. Q4: Finally, what else can investors expect from Capital Drilling over the coming months? A4: The coming months will be, I think, a lot of the same. We implemented the strategy into West Africa in late 2017/nearly 2018 and we still have some further rigs that we’re going to move across into the region, somewhere between another 5 and 10 rigs. So, I think you’ll see more of the same in terms of rig deployment, I think we’ll see more contract awards and we do have some tendering opportunities in other jurisdictions within Africa so I’d expect to see some further news flow and I would hope we continue to see this strong operational performance and strong cash flow generation. We’ve built a good base in 2018 and we’d like to see the business expand on that in 2019. Click CAPD for the full archive.